It’s 22h00 in the night and I’m starving! I know I shouldn’t really eat at this late hour but I’ve just come back from work, 14 hrs straight and I have not gotten a chance to eat anything. I’m hungry, I’m tired, I probably smell a bit ☺️. Not really in the mood for much. I open my fridge and there’s nothing ready to eat. I open my freezer and there’s frozen steaks, lamb chops, leg of lamb, but I’m looking for something that’ll defrost quickly and I can eat quickly as well. Then I see yellow tail fish at the back of the freezer and I instantly know I’m having fish as my late night dinner. It takes about 10 minutes to defrost in very hot water, yes. Ideally I wouldn’t use hot water as it might start the cooking process and consequently make it drier and tougher, but look at the care levels on my face. 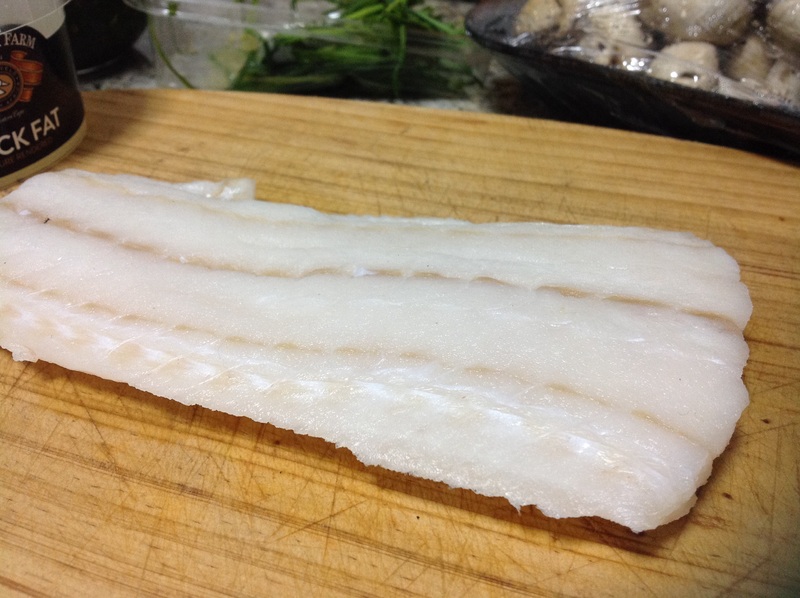 I then take it out of the water, dry it and season with salt & pepper. 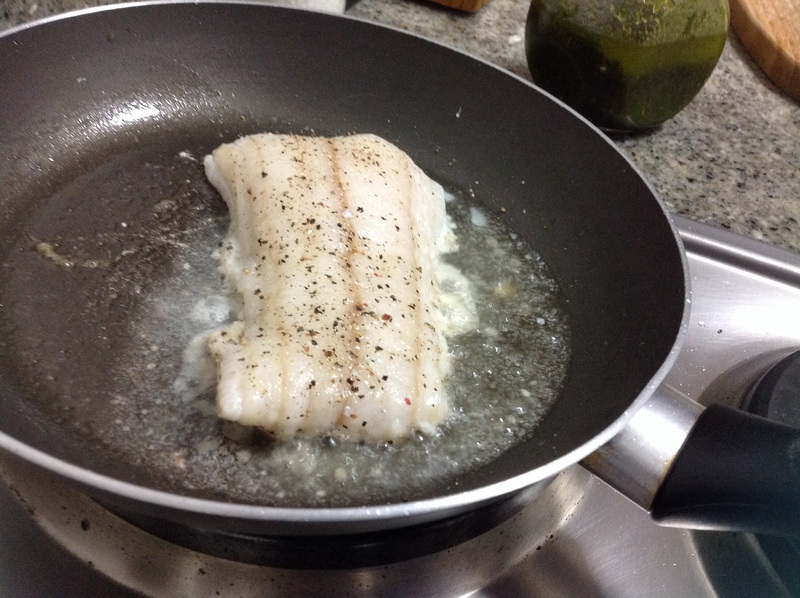 In a hot pan with 1 tbs of duck fat( adding a bit of naughty), place the fish and brown each side delicately. There’ll be a bit of liquid in the pan because of the quick defrosting process but use this to cook your fish, for an addition of moisture. This took a total of 5 minutes. While the fish is searing, in another pan, quickly saute slices of mushrooms seasoned with salt and pepper as well. This takes about 3 minutes. 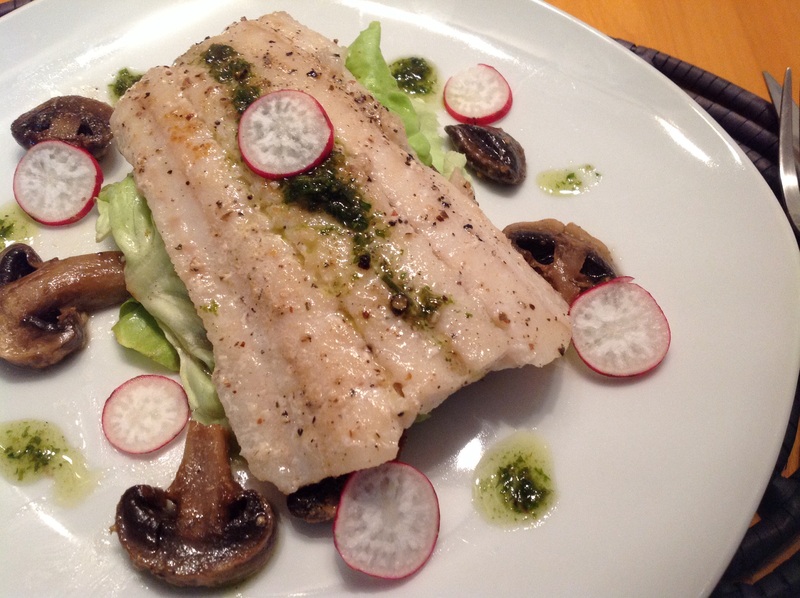 Serve it on the bed of salad greens or baby spinach, radish slices and drizzle my homemade parsley pesto on top of the fish. For the homemade pesto recipe, see prior post by clicking on search on the homepage. So 10 min prep and 5 minutes of cooking. I feel so much better now. 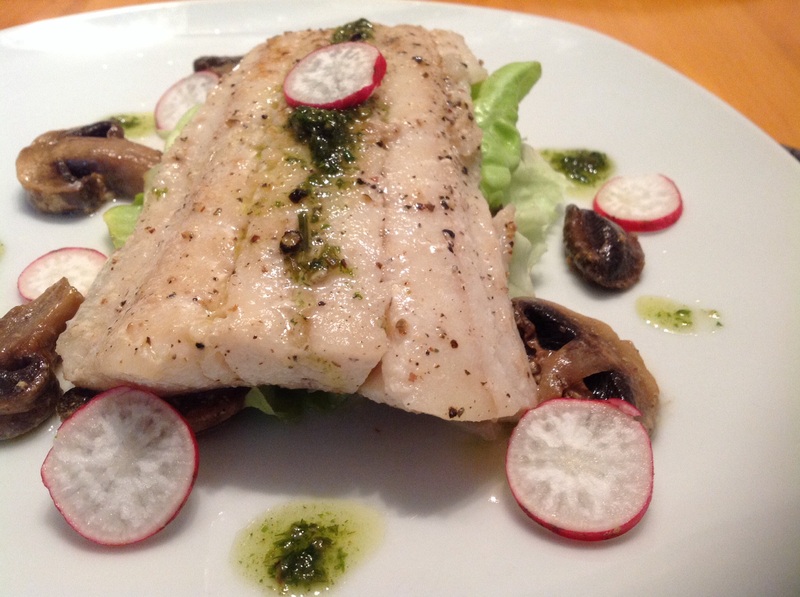 The flavours of the fish are so fresh, delicate and almost natural. If that makes sense. Mission accomplished, how quick, simple and healthy was that? And how delicious it looks and tastes? Always remember you eat with your eyes before your mouth, so think about your food colours and textures! Heading off to bed now. This gives me that guilty pleasure feeling! Prev ‘Ukhari wenkukhu’: Chicken like mama used to..